Purchase and Sale of Products Generally. Guns.com will use commercially reasonable efforts to verify the availability of requested Products in a timely manner. Guns.com tries to maintain an accurate listing of inventory available but is ultimately dependent upon its network of suppliers to provide accurate inventory availability information. • The Buyer makes the initial offer. • The Dealer will accept, decline or counteroffer. • If the Dealer submits a counteroffer; then the Buyer will have an opportunity to accept, decline or counteroffer as well. • In turn, the Dealer will have the final chance to counteroffer; or choose to accept/decline. • The Buyer can only accept or decline the offer at this point. All offers and counteroffers by either party may be accepted, declined, or counteroffered within 36 hours. After 36 hours, the offer will be automatically declined as an expired offer. The time restarts at each step listed above. A Buyer will be blocked for 30 days from making any further offers on a specific used Gun after the offer process listed above. Guns.com will inform the Buyer once an offer or counteroffer on a used Gun is accepted. The item will be automatically put into the Buyer’s shopping cart on the Guns.com Site and the Buyer will have 36 hours to check out at the agreed price or the transaction will be voided. An order is not complete until the Buyer completes the checkout process on the Guns.com Site and the other requirements for sale set forth herein have been satisfied. If there are multiple Buyers and/or offers, the Buyer who first successfully completes the entire checkout process will be the rightful orderer of the used Gun. Buyers are responsible for reading the complete Product description prior to placing an order, especially regarding the condition of used Guns. 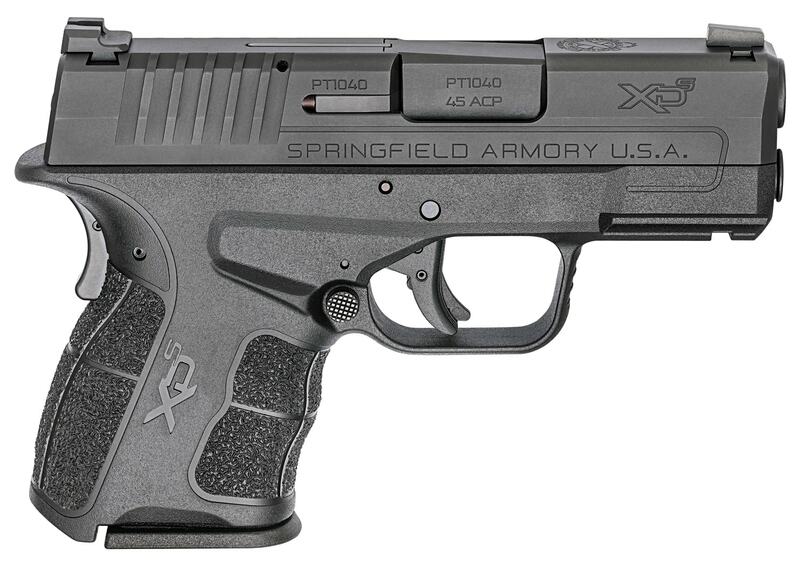 Guns.com attempts to ensure Product descriptions and prices are as accurate as possible. However, it is the Dealer’s responsibility to provide accurate descriptions, specifications, pricing, images, and inventory status for all Dealer’s used Products listed on the Guns.com Site, and Guns.com does not warrant that any Product description or other content is accurate, complete, reliable, current or error free. Guns.com reminds the Buyer to verify all Guns before leaving the Dealer and in the case of a situation where a customer chooses not to take delivery of the Gun because of an error in the description on the Guns.com Site, Guns.com will use its best efforts to remedy any mistakes. Not all Products are available in all areas due to country, state, or local Laws. Guns.com reserves the right to limit Product quantities. Products purchased before or after a sales event are not eligible for reimbursement. For new Products many of our pictures are stock photos provided to us by the manufacturer and do not necessarily represent the actual item being purchased. Please verify the Product by the title and description in the listing and don’t rely on the photos alone. A Buyer must pick up any Gun he or she orders through the Guns.com Site from the designated FFL Dealer facilitating the Gun transfer within 14 days of the date such order is available for pickup from such FFL Dealer. If the Buyer fails to pick up his or her order within this timeframe, the order is subject to cancellation, in which case the Product at issue will be shipped back to Guns.com and the Buyer will be charged certain restocking and shipping fees. Your purchase and receipt of all Products is subject to compliance with all federal, state and local laws, statutes, ordinances, rules and regulations (“Laws”). BUYER IS RESPONSIBLE FOR COMPLYNG WITH ALL LAWS APPICABLE TO THE ORDER, SHIPMENT, DELIVERY, SALE, TRANSFER AND POSSESSION OF ALL PRODUCTS ORDERED BY BUYER, INCLUDING, WIHTOUT LIMITATION, GUNS AND ANY OTHER PRODUCTS RESTRICTED BY LAW. You are solely responsible for your any activity on your account for keeping your password secure. All prices on the Guns.com Site are quoted in US currency. All prices, discounts, and promotions posted on the Guns.com Site are subject to change without notice. The price charged for a Product or service will be the price in effect at the time the order is placed and will be set out in the Buyer’s order confirmation email. Price increases will only apply to orders placed after such changes. Posted prices do not include taxes or charges for shipping and handling. All such taxes and charges will be added to your merchandise total and will be itemized in the shopping cart and in the order confirmation email. We strive to display accurate price information, however we may, on occasion, make inadvertent typographical errors, inaccuracies or omissions related to pricing and availability. We reserve the right to correct any errors, inaccuracies, or omissions at any time and to cancel any orders arising from such occurrences. Terms of payment are within our sole discretion and payment must be received by us before our acceptance of an order. We accept the methods of payment identified during the checkout process on the Guns.com Site. Each Buyer represents and warrants that (i) the credit card or other payment information he or she supplies to us is true, correct and complete, (ii) such Buyer is duly authorized to use such credit card or payment method for the purchase, (iii) charges incurred by such Buyer will be honored by his or her credit card company or payment method processor, and (iv) such Buyer will pay charges incurred by him or her at the posted prices, including shipping and handling charges and all applicable taxes, if any, regardless of the amount quoted on the Guns.com Site at the time of the order. Products will only be delivered to the owner of the credit card or the account holder of the payment method used to make the purchase without exception. a. You represent and warrant to Guns.com that all Products you order through the Guns.com Site may be shipped, delivered, sold and transferred to you and possessed by you in the jurisdiction you specify for delivery in accordance with all Laws. You are responsible for complying with all applicable Laws, including all local laws, ordinances, rules and regulations. b. Guns.com will arrange for shipment of ordered Guns to a Dealer near you, or if you prefer, another FFL Dealer in your area as you direct. A transferring FFL Dealer that is not a Guns.com authorized Dealer must provide Guns.com evidence reasonably satisfactory to Guns.com that it is a validly licensed FFL Dealer. Please check the individual product page for specific delivery options. Buyer will pay all shipping and handling charges specified during the ordering process. Shipping and handling charges are reimbursement for the costs we incur in the processing, handling, packing, shipping, and delivery of the order. c. Shipping and delivery dates are estimates only and cannot be guaranteed. We are not liable for any delays in shipments. d. Guns.com has a compliance protocol in place to help prevent the shipment of Guns and any other restricted Products to a jurisdiction in which such Guns or restricted Products are prohibited by Law. 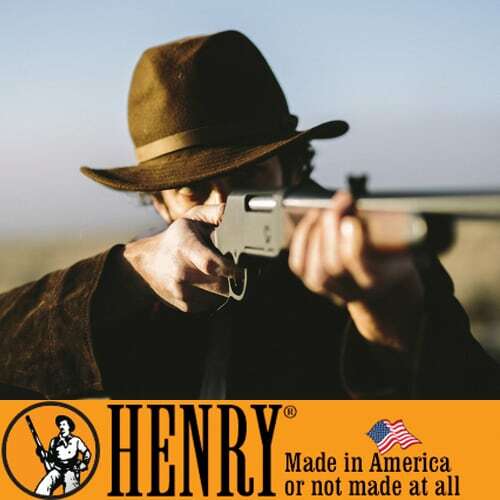 However, should there be a mistake and a Product is shipped to a jurisdiction in which the Product is prohibited by Law, Guns.com will pay for the return shipping to the transferring FFL Dealer without any restocking fees assessed to the Buyer, and the Buyer will be refunded the purchase price in full. a. You should carefully inspect all Guns before leaving the FFL Dealer, as the Guns.com Return and Refunds Policy only covers malfunctioning Guns as described below. All sales are final once you leave the FFL Dealer with your Gun, except as specifically provided below. b. The Guns.com Returns and Refunds Policy is handled directly by Guns.com, not the Dealer. If you have questions about this Policy, please contact Guns.com via the Guns.com Site. c. Guns.com will accept the return of Guns with mechanical defects for a full refund, provided such return is made within 7 calendar days of physical transfer of any such Gun to Buyer, and provided such Gun is returned in its original condition. After 7 calendar days, all sales are final. This Returns and Refunds Policy is offered by Guns.com and Product returns are therefore sent directly to Guns.com. Buyers should contact Guns.com directly within 7 calendar days of physical transfer for a return shipping label and Return Merchandise Authorization (“RMA”) number. No returns of any type will be accepted by Guns.com without an approved RMA number. Guns.com will offer a full refund and pay all shipping costs. e. All new Guns will be covered by any applicable manufacturer’s warranties. Guns.com may assist Buyers in contacting the manufacturer but does not assume any warranty responsibility. See Section 6 below regarding certain disclaimers. f. Guns.com will not accept returns for: (i) defects or malfunctions resulting from careless handling, unauthorized adjustments or modifications made or attempted by anyone, or failure to follow the correct assembly and disassembly instructions; or (ii) use of defective or improper ammunition, corrosion, neglect, abuse, ordinary wear and tear, or unreasonable use. This policy supersedes and applies regardless of Guns.com’s Returns and Refunds Policy and Guns.com’s Certified Used Guns return policy. g. Guns.com does not take title to, or accept risk of loss for, returned Products until the Product arrives back at the Guns.com facility. h. If the Buyer does not pass a background check, the Buyer is not able to take legal possession of the Gun for any other reason, or the transfer is not otherwise able to be completed, the transaction will be cancelled. Upon such cancellation, the Buyer will be charged a 15% restocking fee plus the cost of outbound and return shipping. Guns shipped to the designated FFL Dealer which are not picked up within 14 days of arrival are subject to a 15% restocking fee plus the costs of outbound and return shipping. In both instances, the Guns.com fees and any shipping charges to the transferring FFL Dealer are not refundable. The warranty policies outlined above are only for guns that are picked up from the FFL. i. The terms and conditions found in this Section 5, supersede all Dealer return, refund and warranty policies. a. If used improperly, Guns can be dangerous. If you order a Gun through the Guns.com Site, you agree to follow all manufacturer safety instructions and to use any such Gun in a safe manner, in an approved area, and solely for legal purposes. b. Guns.com does not manufacture any of the Products offered on the Guns.com Site. The availability of Products or services through the Guns.com Site does not indicate an affiliation with or endorsement of any Product, service, manufacturer or Dealer. Accordingly, Guns.com does not provide any warranties with respect to the Products or services offered on the Guns.com Site. 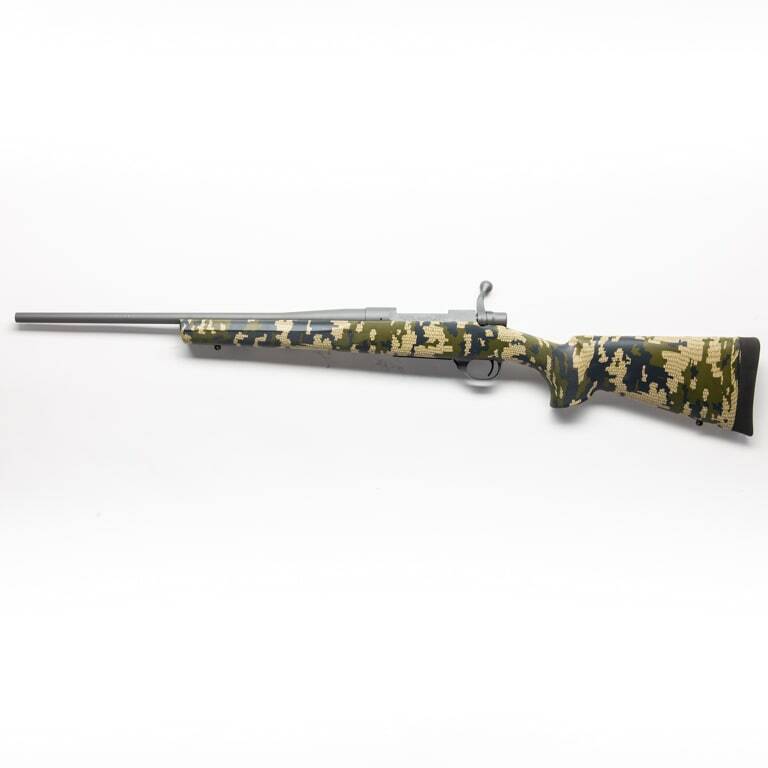 However, some Products offered on the Guns.com Site are covered by the manufacturer's warranty as detailed in the Product's description on the Guns.com Site and included with the Product. To obtain warranty service for defective Products, please follow the instructions included in the manufacturer's warranty. c. Guns.com assumes no, and Buyer hereby releases Guns.com from any, responsibility for Product defects or malfunctions or for physical injury or property damage, whether resulting in whole or in part from criminal or negligent use of a Product, improper or careless handling, unauthorized modifications, use of defective, improper hand-loaded, reloaded or remanufactured ammunition, Buyer abuse or neglect of the Product or other influences beyond Guns.com’s direct and immediate control, or otherwise. d. You affirm that Guns.com shall not be liable, under any circumstances, for any breach of warranty claims or for any damages arising out of the manufacturer's failure to honor its warranty obligations to you. e. You understand that handling, cleaning or discharging a Gun, ammunition or ammunition components may cause exposure to lead, and you hereby hold Guns.com harmless from and assume all responsibility and liability for any lead exposure. f. GUNS.COM MAKES NO WARRANTIES WITH RESPECT TO THE PRODUCTS OR THE GUNS.COM SITE, WHICH ARE PROVIDED “AS IS.” TO THE MAXIMUM EXTENT PERMITTED BY APPLICABLE LAW, GUNS.COM DISCLAIMS ALL WARRANTIES RELATING TO THE PRODUCTS, THE GUNS.COM SITE OR THE USE THEREOF, WHETHER EXPRESS OR IMPLIED, INCLUDING, WITHOUT LIMITATION, ANY IMPLIED WARRANTIES OF MERCHANTABILITY, FITNESS FOR A PARTICULR PURPOSE, QUALITY, SAFETY OR NON-INFRINGEMENT, AND ANY WARRANTIES IMPLIED BY A COURSE OF PERFORMANCE, COURSE OF DEALING OR USAGE OF TRADE. 7. Your Representations and Warranties to Guns.com. b. If you are ordering a Gun or other Product restricted by Law, you further represent and warrant that: (i) you are not prohibited by Law from receiving or possessing Guns or any other Product you order that is restricted by Law, (ii) you are the actual transferee/purchaser of the Gun or other restricted Product you order and you are not ordering or acquiring such Gun or restricted Product on behalf of any other person, (iii) you assume all responsibility for the legality of any Gun or other restricted Product you order or receive and (iv) all information and documentation provided by you during the ordering and sale process and at the point of transfer, including, without limitation, all information provided by you on ATF Form 4473 or any other legally required documents or forms, is true, complete and accurate in all respects. c. You represent and warrant that you are buying Products or services from the Guns.com Site for your own personal use only, and not for resale or export. You further represent and warrant that all purchases are intended for final delivery to permissible locations within the USA. By ordering any Products from the Guns.com Site, you certify that you, or third parties at your direction, will not sell, transport, ship or transfer outside the borders of the USA or to any “foreign person,” any Products which are export-restricted by United States export-control laws and regulations, without proper United States government export authorization, licensing and documentation. It is your responsibility to determine whether any Product is subject to export restrictions. “Foreign person” has the meaning provided in 22 Code of Federal Regulations Section 120.16.
b. Termination. You may terminate your account with Guns.com at any time from your account settings. Similarly, Guns.com may suspend or terminate your account and your access to the Guns.com Site any time and for any reason, without advance notice. You do not have a contractual right to continue using the services offered through the Guns.com Site. 12.Notice and Procedure for Making Claims of Copyright Infringement. a. Guns.com respects the copyright of others, and we ask our Users to do the same. Guns.com may, in appropriate circumstances and at its discretion, disable and/or terminate the access of Users who may be repeat infringers. If you believe in good faith that your work has been copied in a way that constitutes copyright infringement, please provide Guns.com’s copyright agent the following information in writing using the contact information set forth below: (i) an electronic or physical signature of the person authorized to act on behalf of the owner of the copyright; (ii) a description of the copyrighted work that you claim has been infringed; (iii) a description of the material that you claim is infringing and where such material is located on the site so that we may locate such work; (iv) your contact information, such as your email address, telephone number, and /or mailing address; (v) a statement by you that you have a good faith belief that the disputed use is not authorized by the copyright owner, its agent, or the law; and (vi) a statement by you, made under penalty of perjury, that the above information in your notice is accurate and that you are the copyright owner or authorized to act on the copyright owner's behalf. b. If you believe that your content that has been removed from the Guns.com Site is not infringing, or that you have the authorization from the copyright owner, the copyright owner’s agent, or pursuant to the law, to post and use the content on the Guns.com Site, you may send a counter-notice containing the following information to our copyright agent using the contact information set forth below: (i) your physical or electronic signature; (ii) a description of the content that has been removed and the location at which the content appeared before it was removed; (iii) a statement that you have a good faith belief that the content was removed as a result of mistake or a misidentification of the content; and (iv) your name, address, telephone number, and email address, a statement that you consent to the jurisdiction of the federal court for the judicial district in which your permanent address is, or, if your permanent address is outside the United States, for any judicial district in which Guns.com is located and a statement that you will accept service of process from the person who provided notification of the alleged infringement. If a counter-notice is received by the Guns.com copyright agent, Guns.com may send a copy of the counter-notice to the original complaining party informing such person that it may reinstate the removed content in 10 business days. Unless the copyright owner files an action seeking a court order against the content provider, member or user, the removed content may (in Guns.com’s discretion) be reinstated on the Guns.com Site in 10 to 14 business days or more after receipt of the counter-notice. c. Guns.com’s agent for notice of claims of copyright infringement can be reached as follows: Guns.com, Attn. : Copyright, PO Box 1131, 13800 Nicollet Blvd W, Burnsville MN 55337, or copyright@guns.com. c. The foregoing exclusions and limitations shall apply regardless of whether any remedy fails of its essential purpose. 15.Dispute Resolution and Binding Arbitration. a. YOU ARE AGREEING TO GIVE UP ANY RIGHTS TO LITIGATE CLAIMS IN A COURT OR BEFORE A JURY, OR TO PARTICIPATE IN A CLASS ACTION OR REPRESENTATIVE ACTION WITH RESPECT TO A CLAIM. OTHER RIGHTS THAT YOU WOULD HAVE IF YOU WENT TO COURT MAY ALSO BE UNAVAILABLE OR MAY BE LIMITED IN ARBITRATION. c. The arbitration will be administered by the American Arbitration Association ("AAA") in accordance with the applicable AAA rules then in effect (the "AAA Rules"), except as modified by this Section. (The AAA Rules are available at www.adr.org/arb_med or by calling the AAA at 1-800-778-7879.) The Federal Arbitration Act will govern the interpretation and enforcement of this Section. f. Links from the Guns.com Site. The Guns.com Site contains links to other sites and resources provided by third parties; these links are provided for your convenience only. This includes links contained in advertisements, including banner advertisements and sponsored links. We have no control over the contents of those sites or resources and accept no responsibility for them or for any loss or damage that may arise from your use of them. If you decide to access any of the third-party websites linked to the Guns.com Site, you do so entirely at your own risk and subject to the terms and conditions of use for such websites. g. Objectionable Material. You understand that by using the Guns.com Site, you may encounter content that may be deemed offensive, indecent, or objectionable, which content may or may not be identified as having explicit language, and that the results of any search or entering of a particular URL may automatically and unintentionally generate links or references to objectionable material. If you object to any such content, you should cease using the Guns.com Site.